It blew hard (up to 45 mph) last night and rained an inch, but this morning it was calm and sunny (but cool). No new birds at Sweeper or the feeders. We checked Warbler Willows and Adak National Forest, but nothing there. 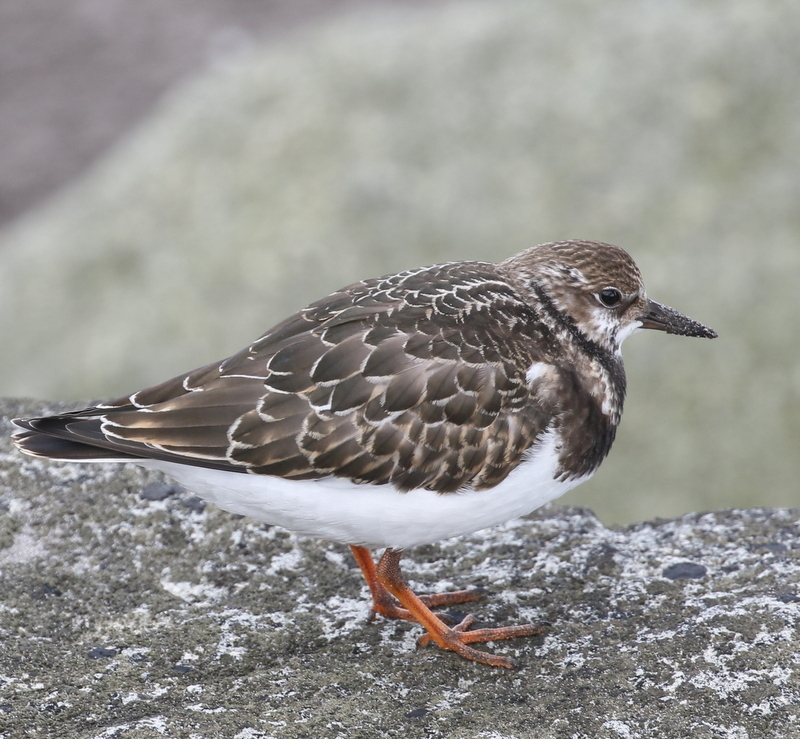 At Landing Lights, four Ruddy Turnstones and one Rock Sandpiper continue. Because of the storm last night and the perfect conditions (no wind or rain), I decided to walk Clam Lagoon again today. 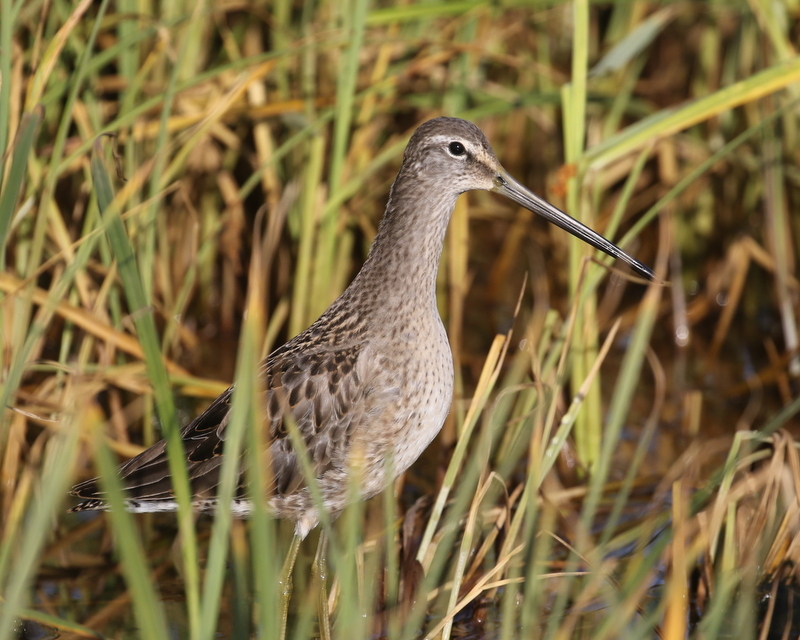 I had the same mix of birds that we had previously (Pectorals, Sharp-tailed, Dowitchers). I didn’t see that many dowitchers when I was starting out birding, and when I did, they were hunched down like snipe doing their sewing-machine-feeding action. I am always caught a little off-guard when I see them like this — standing tall like a Tringa. At the Seawall, a young Tufted Puffin was within camera range. At Lake Shirley we searched for the Redhead to no avail. It, and the American Wigeon, were gone. There were still plenty of Greater Scaup, pintails, and Eurasian Wigeon. We checked Lake Ronnie, but only found Mallards up there. Maybe it is on one of the more inaccessible ponds. We have had birds on Lake Shirley before which would disappear for a day or two and then reappear. We will see. 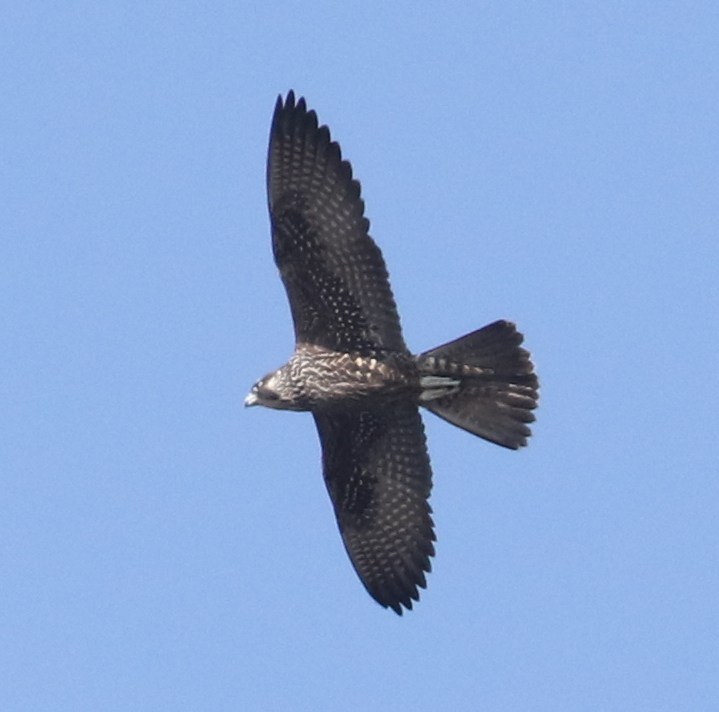 Further down along the east side of the lagoon, another Peregrine circled overhead. The sea was still calm as we came back up to the Seawall, so I spent some time scoping (usually, the sea is wavy or choppy, making it hard to get on distant birds long enough to identify them). Today yielded 2 Pacific Loons, 1 breeding-plumaged Yellow-billed Loon (of course, too far out for photos! 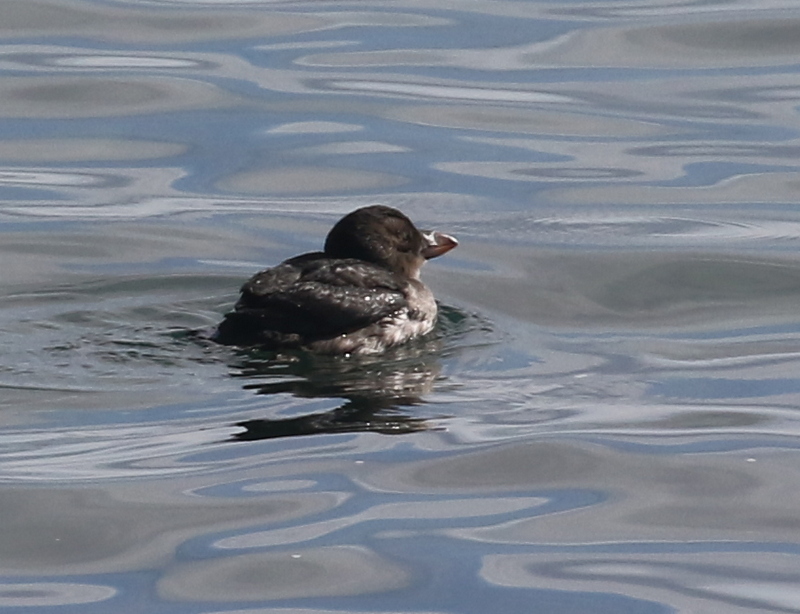 One of these days…), a White-winged Scoter, 12 Horned Grebes, many Red-necked Grebes, and a lot of alcids. We could not pick out any pelagics going by. The Trip List is 47, the Year List is 88. This entry was posted in 2018 September, 2018 September, 2018 September, 2018 September by pabirds. Bookmark the permalink.